Increased sales, wider audience reach and more brand recognition are the top three benefits when you tap influencers to boost your marketing results. This is why many companies are now incorporating influencer marketing into their overall marketing strategy. Some recent industry statistics show the growing interest in influencer marketing. For example, according to Google Trends, the number of searches for ‘influencer marketing’ is growing around 5,000 percent, which is astronomical by any means. An AdWeek magazine article also reported that about 75 percent of companies are using influencers as part of their marketing strategy. So, what is influencer marketing and how do you tap influencers to boost your company’s brand? Do you remember the time when companies used celebrities to endorse their products? That’s a form of influencer marketing before social media came along. Celebrities and famous people were considered influencers because of their perceived high status in the community. Celebrities and famous people were considered influencers because of their perceived high status in the community. And most of the time they have big numbers of followers – e.g. fans who would buy anything they endorse. Think of sports people, actors and actresses being used by big global brands to endorse their products. Sometimes those influencers need not say anything about a product or a brand. All they had to do was to be seen wearing a dress from an upcoming designer and everyone would want to buy the same dress. Have you noticed how some of the global luxury brands use famous people to model their watches, bags, perfume and other products? These are all forms of influencer marketing before social media. But celebrity influencers now face competition from a new breed of digital-savvy influencers. In the social media era, influencers are those who have massive followings on Twitter, Facebook, LinkedIn, Instagram, Snapchat and other social media platforms. Though the celebrities of the pre-social media times are still around, a new breed of influencers has risen over the past few years. They are the social media influencers who can drive sales to skyrocket and give your brand visibility to millions of their followers. Wider audience reach – social media influencers will give you and your brand access to a wider audience reach compared to what you would normally have. Visibility – related to the wider audience reach, influencers can give your company and your brand the visibility you won’t usually have if you do a campaign on your own or without an influencer behind it. In the financial services sector, the use of influencers may not be as pervasive or as blatant compared to other sectors like consumer goods, fashion and retail or lifestyle and luxury. It’s not common to see an actress taking a selfie to show what stock she’s buying. And it would be rare to see a celebrity signing up for a home loan from a certain bank. Does influencer marketing work in the financial services sector? 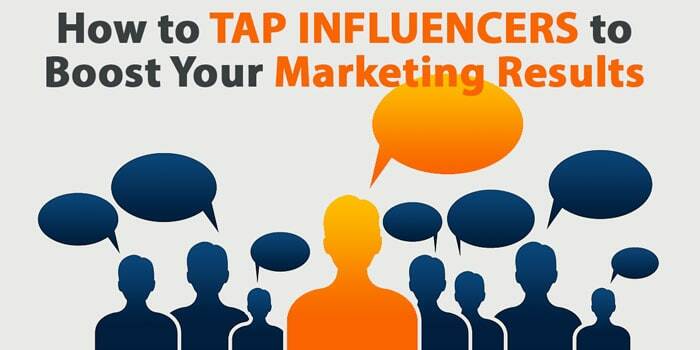 How do you tap influencers to boost your financial marketing results? Where do you find influencers in your industry? How do you engage with influencers? If you look at it, many companies in the financial services sector use influencers in a slightly different way. For most of these companies engaging with influencers is a long-term relationship building strategy not only with the influencer but also with their clients. Based on our years of experience in the financial services sector, here are some examples of how companies tap influencers to boost their marketing strategy. This can easily be done by checking the social media profile of the person or influencer you want to engage with. All the social media platforms provide easily verifiable number of followers. And most of them provide qualitative checks that can tell whether a person’s followers are legitimate or not. A recent article in AdNews magazine mentioned that one of the challenges faced by companies when it comes to implementing influencer marketing is finding the ‘right’ influencer to connect with. This means that though there are many influencers with massive social media following, it is still difficult to find the ‘right’ one that will fit or complement a certain brand. Nowadays, most people prefer to be contacted via their social media pages. Whether the influencer is active on Twitter, Facebook or LinkedIn, you need to communicate with them using their preferred channel. While the initial contact can be started on social media, it pays to continue the interaction with the influencer off the social media channel. You don’t want to publicise each and every step of your contact with the influencer. And most likely the influencer would not want that either. While some companies have reported an immediate increase in sales when they use influencers, companies can also reap long-term benefits from influencer marketing. In the highly competitive and regulated world of financial services, client retention is a top priority. This is because client acquisition is becoming more expensive and difficult. Many companies are putting more efforts and budget into client retention. In the CFD and FX segment, some companies are using influencers – as speakers in conferences, client events and exclusive functions – as part of their client retention program. For example, some high-profile traders, economists, fund managers and market analysts have been brought to Australia to speak at client events. In many cases, these events attract hundreds of clients and potential clients who want to get in contact with or at least be associated with an influencer. The fact that influencers in the financial services industry are mostly experts and considered authorities in their fields, companies who associate with them tend to get the halo effect – i.e. they get positively associated with a credible and authoritative person. In the long-term, this positive association will have an impact on how clients and potential clients perceive the company and the brand. 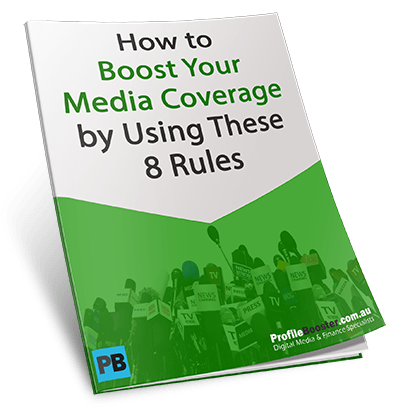 For example, some of those events mentioned above also get media coverage, which in the overall scheme of things can only add more credibility and authority to the influencer and to the company that’s engaged them. There are compelling reasons to use influencers as part of your overall marketing strategy. If you are not using it yet, maybe it is about time you do so. If you are already well-advanced in tapping influencers to boost your marketing efforts, there may still be pockets of opportunities to optimise your influencer program. Feel free to contact us if you want to discuss how you can tap influencers in the financial services space to boost your marketing results.